Our Dialogue on Disability Week continues with a conversation about employment discrimination for people with disabilities. “The Good Place” star Jameela Jamil recently turned down a role to play a deaf woman, saying the role should go to a deaf actress instead. Jamil is one of several Hollywood stars speaking out about the need for more inclusion and representation of people with disabilities in the media and in the workplace. Connections: Dialogue on Disability - "Perfectly Normal for Me"
It's Dialogue on Disability Week and we kick off our series of conversations on Connections with a discussion about inclusive recreation activities. Michael Radell, education coordinator and camp director at Epilepsy-Pralid, Inc.
We're joined by former Senator Tom Harkin of Iowa, who authored the Americans with Disabilities Act. 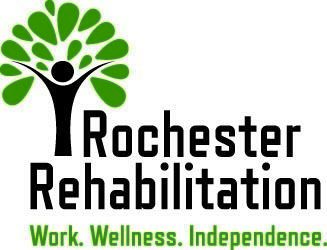 Research shows that among similarly sized cities, Rochester is the single worst in the country when it comes to employment and poverty for people with disabilities.